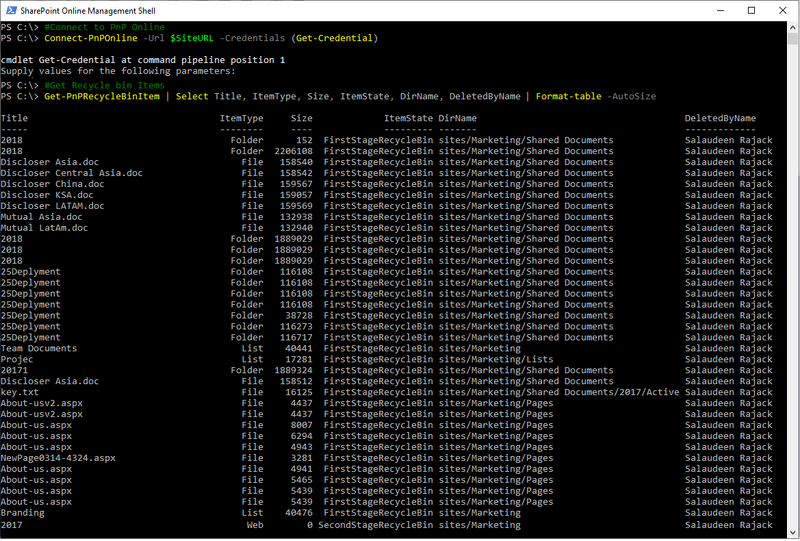 How to search SharePoint Online Recycle Bin? 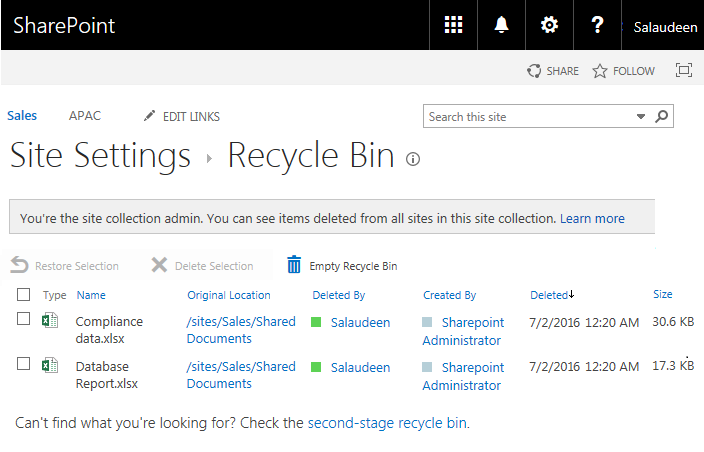 Navigate to your SharePoint online site, Click on Site Settings Gear >> Choose "Site Settings"
From the Site settings page, Click on "Recycle bin" from Site Collection Administration. This page gives you all deleted items in the site collection along with deleted by user data. $Password = Read-host -assecurestring "Enter Password for $AdminUserName"